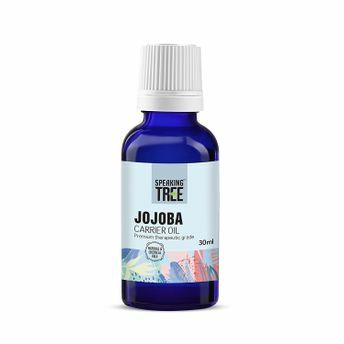 Speaking Tree Jojoba Carrier Oil is a 100% pure, natural and cold pressed oil that is a perfect option for using as a natural facial moisturizer, cleanser, hair conditioner, makeup remover, body lotion and lip balm. This light, non greasy oil acts in an almost identical way to the skin's sebum to control moisture level of the skin and scalp. Suitable for all skin types. Alternatively, you can also find many more products from the Speaking Tree Jojoba Carrier Oil range.